Digital Infrared Photography suffers from the same problem that afflicts Stereo Photography, Tilt Shift Effect Photography, and Fisheye Photography. These cool effects are striking and seem to transport you into another world. The problem with this is the effect can gets old quick and can bore the viewer. Like anything else, Infrared should be used sparingly to be effective. 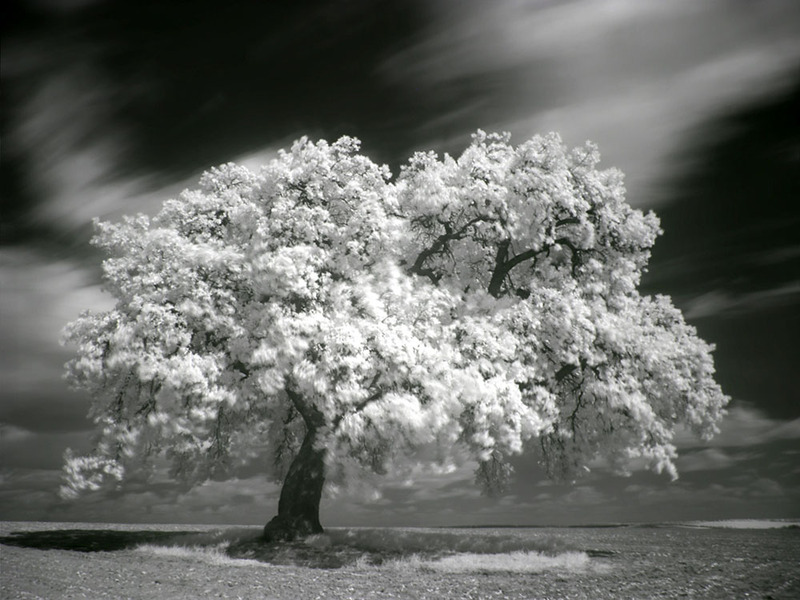 Digital Infrared Photography, if you are unfamiliar, is made by using a modified digital camera. Digital camera sensors are inherently sensitive to infrared light. Camera manufacturers actually build a filter into the camera that blocks out IR light allowing the camera only to take photos of the visible light spectrum. When a DSLR is modified to take IR photos the IR blocking filter is removed and replaced with a filter that blocks the visible light from the sensor. This modification allows your camera to see this strange fairy world view. Skies are inky black, green leaves look ghostly white, and skin looks almost alien in sunlight. If you’re interested in converting one of your current cameras into an infrared machine, you can always contact us to find out more about the process.